Joli Paquet: How about a Halloween giveaway? How about a Halloween giveaway? They're great fun for altering or adding to your Halloween decor, but let us know what you would do with them if you won! Leave a comment between now and Monday, October 5th and I will announce a winner on the 6th. Check back next week for the kit preview and sales as well as more fun tutorials! Ohh how wonderful - a great giveaway! I think a mini-banner would be a fun project to make out of the banners. Hi, great ribbons! I would add a vintage seal to each one and give them to the best Halloween creation I make this year! 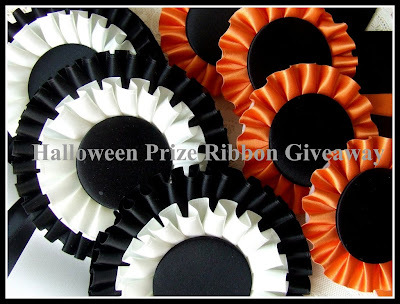 Wholly Cow, these prize ribbons would look awesome altered and placed on my big Halloween Skeleton man that is sitting on a bale of hay amongst the ghoulish Halloween decorations on my dinning room table. They would be the perfect addition to a "scary" Halloween scene! Hope I win! I've been loving the Halloween projects and can't wait to see the kits. Would love to win these ribbons. So pretty! WOW, WOW...so beautiful. Would absolutely love to be the lucky winner. I love Halloween and Joli Paquet makes it more fun! These are great! I'd definitely add them to my Halloween decor! 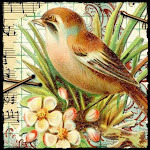 The first thing that came to mind was to punch out from a piece of vintage music a large scallop / circle. Place in the middle and then adhere a vintage photo that has been altered to look like a character from Halloween - a witch, a mad scientist, etc. then they'd find their way on my halloween display. I don't know if this is open to internationals but if it is I'd love a chance to win! These are fabulous and would be fun for so many things!! I've made my own prize ribbons before and it takes soooo much time! Thanks for the chance to win one! Ok, I have never BEGGED for a giveaway. lol...but, picture me begging right now! hahah seriously, I love halloween sooo much! I have a banner I am making soon and I make a full blown out 12x12 album every year for our costume party we throw on Halloween night! Thanks for having such an awesome prize! These would be great to use as originally intended...kicked up a couple of notches. Would be great for a Halloween party, ribbons for best pumpkin carving, costume, ghost story, etc. Please enter me in your giveaway! Thanks! I'm loving your tutorials. These prize ribbons are so beautiful. THank you for all of the great tutorials!! I can't WAIT to see the kits. Happy Halloween! Great ribbons... I would add them to my daughters Bday present wrapping.. (10/9) since we got away from having anything to do with pink this year..we are going all out HALLOWEEN! thanks! Will post your giveaway on my blog! Thanks for the great projects. Can't wait for the kits to come out! I would love to win those cute little ribbons! I can think of a dozen places to use them. Your site is so much fun to look at...and listen to this morning! what fun colors! they are beautiful. thanks for the chance to win! Thanks for the chance to win. Happy October! How lovely!I could put them on my Holiday dolls, (and a hundred other things.) Very Pretty. Such pretty things to look at. I always look forward to JP. Love the ribbons, and so happy you are doing the "Joli Paquet" again! The black and white one would go on a the jewelry holder thingy (big) that I am making for my married daughter's bedroom. It is being done in black and white and I could add her initial in silver in the center and it would look marvelous with the black and white fabric. The orange and black would be put to use on a large black felt cat I am making, would look great hooked to his chest and gussied up a little bit! Thanks for the wonderful chance! These are so beautiful, and would add a special touch to my house for Halloween. Happy Haunting! I would make prize ribbons for a pumpkin carving contest. these are great! I'd love to embellish them! Please count me in and thank you! what a great prize!! i don't have a project in mind, but i can come up with one! LOVE the orange ribbon, so shiny!! Love those ribbons! Oh what to do with them. They are so pretty one of them would have to adorn one of my halloween pumpkins and the other just might get a little more embellishment and be given to the trick or treater with the best costume...or maybe I'll wear one!! Thanks!! There are too cool! I would use some of my Halloween embellishments to dress them up and add to my Halloween decor. 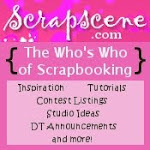 Loads of inspiration, tutorials and a wonderful giveaway? Wowee! Great ribbons! I think they would look great with vintage Halloween images and then hung on a Halloween tree or strung into a banner. They look like little vintage Halloween Fairy Scene backgrounds to me! A little spanish moss, vintage lace and wee little glittered fairies delivering their Halloween pumpkins! Too fun! Thanks for the chance to win! or something like that....it would make her laugh and I would place it on an art easel below her Halloween Tree. These are great! I would love to win them. 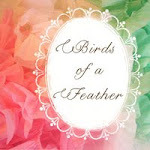 Thank for this Joli blog and all the wonderful inspiration! I can't wait to see the kits. Love the prize ribbons! 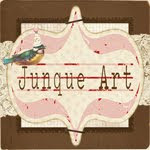 What a great set of ribbons, I'de love to be entered in your giveaway. So glad I found this site. Now I'm thinking of all the things I could do with those prize ribbons. These beautiful ribbons are just screaming to be decorated with glitter, charms, & other vintage goodies! Yay! I love a giveaway! I would add a vintage image to the middle and some glitter and turn this into an ornament. I'm really enjoying this blog and all the great Halloween tips. Those ribbons are gorgeous! Please enter me in your drawing. Halloween fun and a giveaway! It doesn't get much better than that! If I won those awesome ribbons, I'd keep one for myself, and give the other to my husband to alter with one of his tiny Halloween paintings! These are so cute! I'd use them as "prize" ribbons for the trick or treat costumes! I always enjoy you tutorials and I liked the stamping on the glass candle holder the most. I love the ribbons! Can't wait for the kits!! I show my little dogs and have my little ribbons displayed all over the house. These would look so awesome and fit right in to 'Halloween up' the decor! So so so so so so so so so cute. !!!! Love those ribbons! 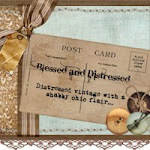 I would add some vintage halloween images and embellishments. Looking forward to upcoming posts! It would be great to win these!! Thanks for the opportunity. Those ribbons just make me smile. I would probably gussy them up and use one for my favorite Halloween party hostess....and one for me! I might have to award them to the best costumes at our favorite Halloween party! Oh my goodness, I LOVE it all!!!!!!!! And the ribbons are absolutely incredible!!! How cute! Is it too late?